I love a big bowl of slow cooked green beans with onions and maybe a little bacon. I like them soft and easy to chew. 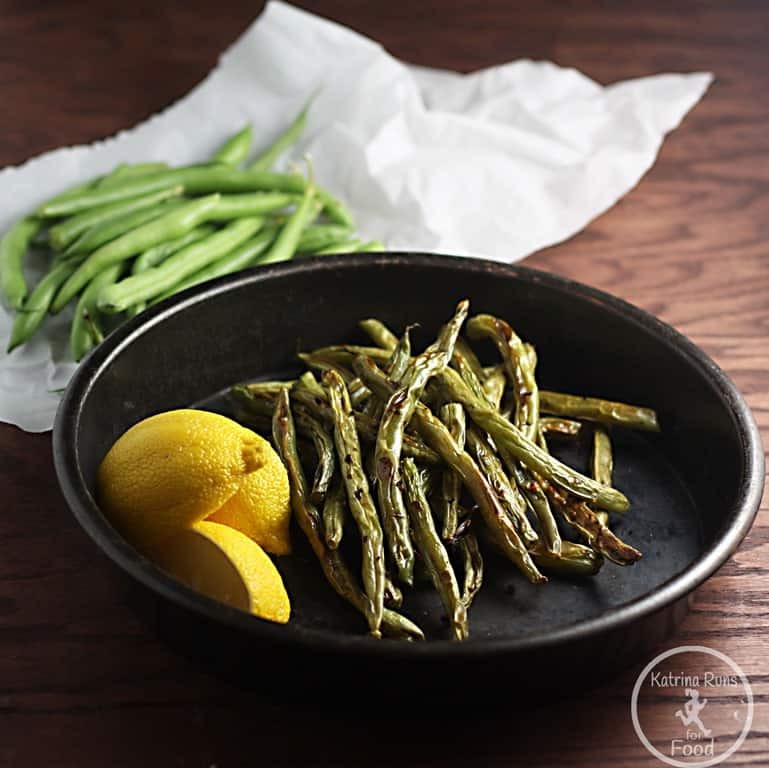 I have made many many dishes of canned green beans cooked for an hour in an iron pot and loved almost all of them. What I have not done is roasted them. I found this recipe from one of my favorite sites from the Whole 30 days, Nom Nom Paleo. Michelle suggested using some fish sauce, which I did not have, but I’m very intrigued by this stuff. All I did was toss them in some rendered bacon fat, plenty of black pepper, and a sprinkle of Sunny Spain. Any all purpose vegetable season will work if you do not have a Penzey’s near by. Roast them. Devour them. Preheat the oven to 450°F. Use aluminum foil or parchment paper to line a baking sheet. Add green beans, washed and completely dried, to the sheet. Pile them up. You’re about to make them very happy. Add the melted fat, seasoning, salt and pepper. Quickly coat before the fat gets cold. Arrange in one layer and roast in pre-heated oven for about 20 minutes. Turn them once around 12 minutes. They are done when they get wrinkly and start turning brown and GOOD. Sprinkle a little lemon on top. Make plenty. These can be addictive!